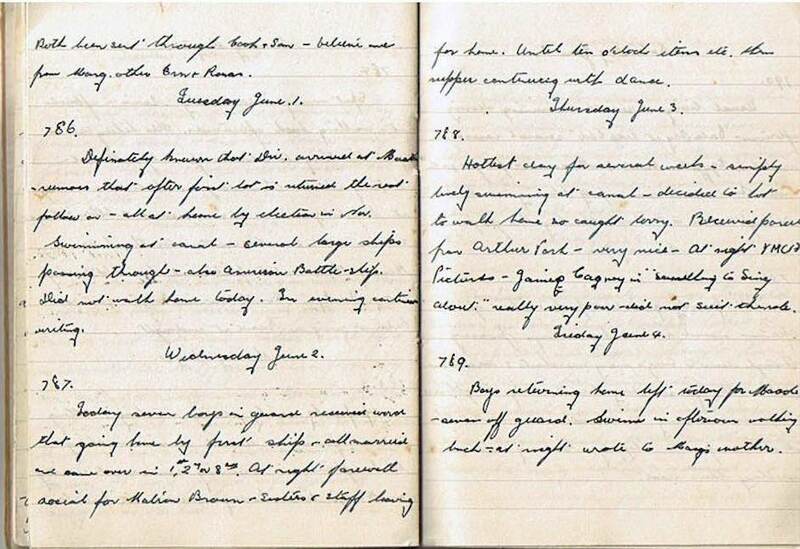 … both been sent through Cook & Son – believe are from Marg, other Erin & Rona. Definitely known that Div. around at Maadi – rumours that after first lot is returned the rest follow on – all at home by election in Nov. Swimming at canal – several large ships passing through – also American Battle Ship. Did not walk home today. In evening continued writing. Today seven boys in guard received word that going home by first ship – all married and some over in 1st, 2nd, 3rd. At night farewell social for Matron Brown – sisters and staff leaving for home. Until ten o’clock ??? etc then supper continuing with dance. Hottest day for several weeks – simply lovely swimming at canal – decided too hot to walk home so caught lorry. Received parcel from Arthur Park – very nice. 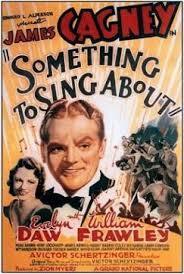 At night YMCA Pictures – James Cagney in “Something to Sing About” – really very poor – did not suit the role. Boys returning home left today for Maadi – seven off guard. Swim in afternoon walking back – at night wrote to Marg’s mother.